I think my memories of “Twin Peaks,” as with those of many folks, are scarred by how the series faded away, rather than how it started. The phenomenon began with a sizzle then very quickly transformed into an inferno. The problem was that very few people stayed around to see what was left when the smoke cleared. 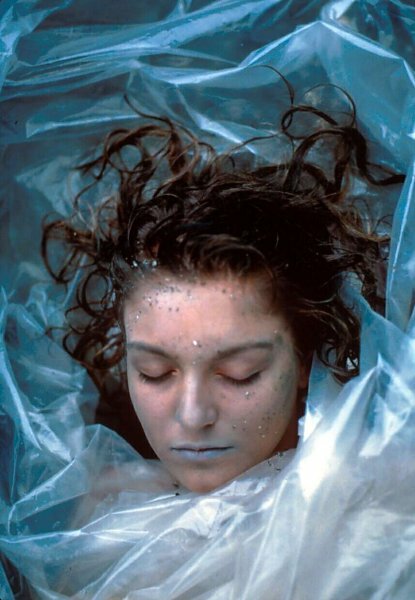 Once the initial ‘Who killed Laura Palmer?’ furor died down, no one much cared any more, and when things got a bit weird, even the network backed off. My thoughts on the rise and fall of, as well as my return to, “Twin Peaks” are after the jump. I can’t honestly remember ABC’s advertising campaign for the series, if any, or how they promoted the show, but I do remember quite clearly that everyone was at home in front of their TV that Sunday night. And equally, everyone was talking about it Monday morning, and throughout the week until the next episode. I remember talk TV and radio were obsessed with the show. The buzz was non-stop, whether it was compiling clues to the murder, suggesting theories, or just trying to figure out why it was so popular – everyone was talking “Twin Peaks.” Folks were quoting it, and it may well have been the first of the water cooler shows. I remember coffee, pie, and log viewing parties where folks would dress as the characters and then verbally dissect the episode afterward. It was one of the first TV shows, along with “Batman The Animated Series,” that I obsessively taped with my brand spanking new VCR. The magic even extended to other media. The haunting soundtrack by Angelo Badalamenti was in everyone’s car stereo and on the radio as well. Even the album featuring Julee Cruise’s melodic vocals over the show’s theme did serious time on the air and on the charts. Twin Peaks mania rivaled that of the original 1960s “Batman” TV show. But like the Adam West caped crusader, its day in the sun was fleeting. Television networks have a bad habit of letting things go on too long. ABC also did this with “Moonlighting” and “Lois and Clark.” AMC did it just this year with the startlingly familiar “The Killing.” They stretch when they should close. “Twin Peaks” just took the whole ‘Who killed Laura Palmer?’ thing too long and too far. Viewers gave up, they didn’t care, or they were aggravated it was taking so long to tie up the case and reveal who did it. The network demanded the case be closed and the story moved on. As forced as that was, it was far too late. And then things got weird. Really weird. Prophetic giants? Dancing funny talking little people in red leisure suits? Red curtains, zig zag carpets and strobe lights? WTF? I wanted to throw something through my TV at the end of the final episode, the first time I saw it, and yes, the second time I saw it just today. It’s been over two decades since I’ve seen “Twin Peaks.” After a recent discussion with my Biff BamPop! peeps about the theatrical epilogue to the series, Twin Peaks: Fire Walk with Me, I decided to view the whole shebang again. Here are my thoughts. The first thing that struck me on my rewatch of “Twin Peaks” was the quirkiness of characters just for the sake of quirkiness, not because it was important to their personality or motive. Second, the music of Angelo Badalamenti, so new and refreshing to TV of that age… in hindsight, and in reviewing, I found it unintentionally funny, striking an almost melodramatic 1950s soap opera chord. Watching the pilot again I was struck by how much it reminded me of AMC’s aforementioned “The Killing.” That’s really not so odd because “Twin Peaks” was the first thing I thought of when I saw that show. The problem is I was recalling “Twin Peaks” through the cloud of a nearly two decade memory. Seeing it here now, it seems almost a parody of itself, with “The Killing,” itself a remake of the Danish TV series “Forbrydelsen,” being almost the superior remake. I recall “Twin Peaks” being quirky and fun, creepy and refreshing. I don’t remember it being funny or campy. I had to stop and wonder, rewatching it, was this David Lynch and Mark Frost’s intent all along? I really can’t help thinking of the 1966 “Batman” TV series. At four years of age it was serious as a heart attack but at twenty-four, it was hilarious. Was “Twin Peaks” nothing more than a two level Warner Bros. cartoon where we won’t get half the jokes until we’re adults? I’m really afraid so. While the show created stars, renewed careers, was full of stunt casting, and changed television forever, the truth is, in hindsight, it is full of melodrama and heinous overacting, all for the apparent camp effect. Twin Peaks remains one of my most beloved pop culture touchstones. 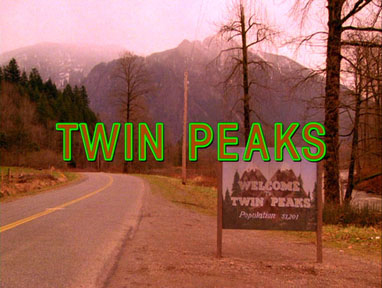 While the second season is indeed flawed for many reasons, there’s no question that what Lynch and Frost created is well worth experiencing. The final hour continues to blow my mind and haunt my dreams. I loved this show in the 90’s. I think i still have Laura Palmers Diary around my house somewhere. I’ve told my wife how much I love the show, and she’s never been that interested in watching it. And now I am worried I won’t like it anymore. Twin peaks was Deep. Far deeper than most shows on tv today and was at least 10 years ahead of itself. Yes it did have a few cringy moments but they did nothing to spoil what was simply put a damn fine tv show… A groundbreaking moment in tv history.